Great for schools, parks, community festivals, races or seasonal events, the freestanding Event Bike Rack is the perfect solution for bike parking when and where it's needed the most. 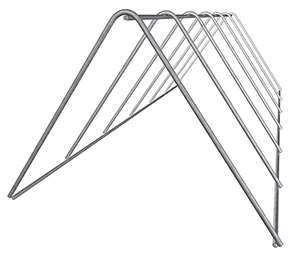 Designed with an all-steel construction and triangular frame shape, this portable bike rack provides adequate parking for most bikes and easily stacks with multiple Event racks when not in use. 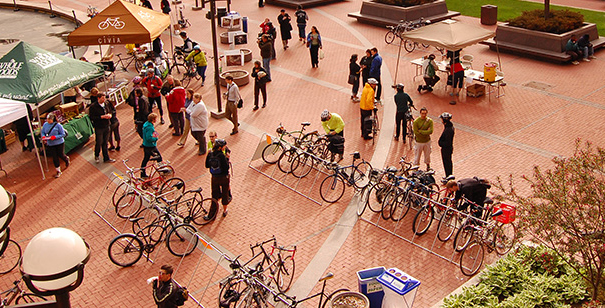 The minimalist Event Bike Rack allows simple, two way drive in access with a capacity for up to 14 bikes and is U-Lock compatible.